In my Ultimate Guide To Mantras I’ve shared mantras for every purpose from all different spirutalities. Many readers asked for more mantras for protection. I researched through all my best mantra books and found some great ones. 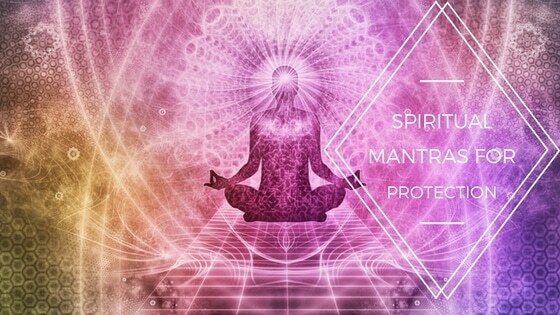 And there are more spiritual techniques to protect you. The first mantra I’ll share is a Durga Gayatri mantra for overcoming obstacles and enemies. This mantra removes suffering from your life. Goddess Durga is the Hindu mother of the universe and is infinitely loving to all her children. It is said that without the blessing of the Goddess Durga, nothing can be achieved in life. This mantra will grant Durga’s blessings. Sit in front of a Durga statue at sunrise and recite the following mantra. Rudrayamala Tantra Mantra For Destroying Enemies. Warning: POWERFUL! This mantra is a big deal. You probably should not use it at all. I’m just including it here for educational purposes. The Rudrayamal Tantra mantra for destroying enemies is one of the most powerful black magic mantras. People have used this (and similar mantras) for thousands of years to destroy enemies and to crush competition. It’s a Stambhan mantra and it comes from the Rudrayamala Tantra book. It is a rare mantra that is used to destroy the mind of anyone who would oppose you, anyone who is intentionally causing you harm, and anyone who is causing an innocent person to suffer. This mantra should ideally only be used by people who have been practicing the Aghori tantra for a long time. Chant the mantra 1000 times. Staying strong in difficult times is crucial. Because we all face hard times. Thankfully, there are mantras that help with hard times. The Mahamritunjaya mantra for difficult times is a powerful healing mantra popular in Yoga centres around the world. 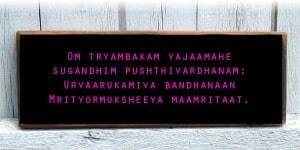 The Mahamritunjaya-Mantra-for-difficult times is used for help against illness and obstacles. It is said that the mantra has helped many people. It may be chanted while alone or in groups that should be sitting in a circle. The mantra is at its most powerful when big groups chant it together. Recite the mantra 108 times while holding a mala close to the heart. You might like to recite this mantra in front of a shiva statue. Baglamukhi is a Hindu goddess who is generally depicted in yellow. The goddess is famous for protection against enemies and for destroying enemies to grant victory and acquire wealth. It is believed that by worshipping Bagalamurki one will eliminate all enemies. Bagalamukhi Devi (Pitambara Maa in North India) is one of Hinduisms 10 great wisdom goddesses. Bagalmukhi is said to destroy the illusions, misunderstandings and enemies of a devotee. Most commonly, Bagalamukhi is depicted with a club in her right hand which she uses to attack demons. She uses her left hand to pull out the hair of demons. Bagalumukhi is the banisher of demons, which is why devotees worship her, so that she may destroy their misfortunes and enemies. Worship of Bagalmukhi is usually performed by using a specific mantra. It is said that recitation of this mantra will cause Balamukhi to destroy the misfortune and enemies of the worshipper. Worshippers recite the Beej mantra 1500 times a day for 45 days. This mantra is best performed using a yellow rosary and yellow clothing. If you do not have a yellow rosary, I recommend THIS ONE. Worshippers traditionally offer yellow flowers, Diya ( an oil used for wicks), Pure Ghee and Agarbatti ( an incense). The Bagalamurki mantra is as follows. . .
Stambhay Jihwa Kilay Buddhi Vinashay Hleem Om swaha!! The Evil Eye is believed to cause injury and misfortune to the person it is aimed at. It is generally brought about for reasons of dislike or envy. There are many other names given to evil eye as it is a common belief shared between many different religions and cultures, each of which have their own names for evil eye, their own talismans and their own cures. One of the best ways to protect against Evil Eye is with mantras. These include Shaabri mantras that will destroy Drusth. These mantras are very powerful and have been translated from old Marathi script. Sacred ash should be put on the forehead of the individual reciting the mantra. The mantra is recited in dedication to Ghorakhnath, a saint and reincarnation of Shiva who is the 2nd of the 9 masters. While reciting this mantra the individual should have salt or ash in hand. The salt should be moved in a circular fashion and the body then thrown away. This is a Kundalini Yoga mantra and is over 3,000 years old. It is said that this Kundalini Yoga mantra will create protective light around the magnetic field, protection the practitioner. Repeat three times for your house and pets. This will protect each of these things. The Mrityyunjaya Mantra is a secret mantra, found by Rishi Markandeya. This mantra is said to have been used by Sati when King Daksha cursed the moon. It is also called the Rudra mantra, Mrita Sankivini mantra, and Tryambakam mantra. This mantra is used for conquering death. It will protect a person from threats and lead to an easy death at the end of life. If you’re worried someone might attack you or in any way do you harm, this sacred mantra will offer divine protection. The Gayatri mantra, which you will find below, is a Satvik Gayatri Mantra Sadhana  that is not dependent on any extreme worshiping methods. In other words, it is completely safe to use. However, this mantra must be used only by those who are pure of heart. The Gayatri mantra is extremely powerful and is used to stop enemies in their tracks. However, the mantra will only work on enemies who would otherwise hurt you. It is, in other words, a self defense mantra. It is not possible to use this mantra on people who will not harm you. The mantra is simple to use. Just recited the mantra below 108 times each day. I hope you have found this guide helpful. Please share this page on Facebook and Twitter. With your support I can continue to create more content like this. For more, read our complete guide to Mantras. Ananda and Davor Vdovix have produced a beautiful CD of the best protection mantras. Anandra’s voice is stunning. She creates the best music. 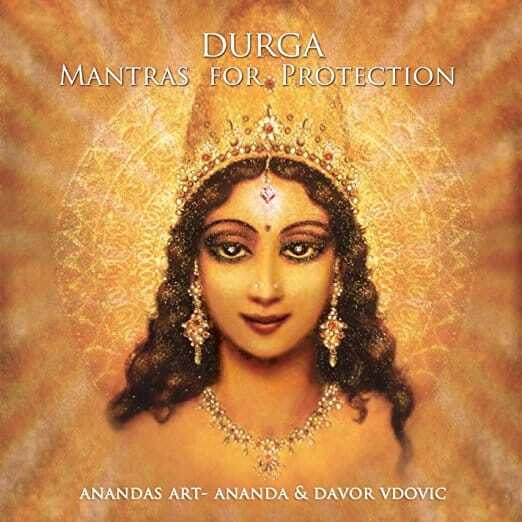 If you are interested in Durga mantras for protection, you really must get this CD. and he is suffering from Bipolar disorder and personality dissorder if this person and his group have been applying practices of the most horible kind for years (and he will not name names) then what am I to do? who knows what these peope will do nor when or howThis person is leading a double life everyone thinks he is pure of heart I want to continue to be safe and get a good start to shield my family and friends. Thank You. When can I chant rudrayamala mantra? I tried some of the Disha Bandhan and Atma Raksha Mantra gievn on – https://www.prophet666.com/ and they did help me in getting some relief in overcoming my fear. Hinduism is Shivism and Vaishnavism alone. Hindu Gods advocate vegetarian food habits and don’t require sacrifices. Just befriend them for protection like parents. Mantras are for protection but not necessary in this time. You can just chant Om Namo Narayanaya or Om NamaShivaya for protection. Sacrifices are only made by magicians for demi-gods who are ghosts of ancestors or kings or demons, which is not Hinduism. Hinduism (Vaishnavism and Shivism) is there for millions of years. The creations of Hindu Gods came to us and left adam and Eve among us and are now claiming to be the Supreme Godhead’s messengers, but only Lord Vishnu is the Protoform and God of the universe. We have temples at least 11000 years ago and deity forms of Lord Vishnu, our creator from 36000 to 1.1 million years ago at least three times older than alien Adam. Lord Ganapati said they all came from Lord Vishnu. He is the supreme Godhead. Those who call Hindu gods as jinn will be ashamed soon. Lord Vishnu will send his son Kalki and kill all non-vegetarians, alien Adam’s messengers and evil people and give the world to vegetarians. Read Manjari Purana. It’s free. Thanks for sharing this Paul. Hinduism is an old and sacred religion. It doesn’t teach us to hate any other religion. 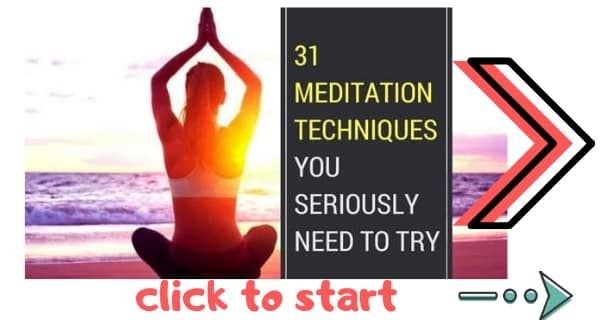 Many holy men (and women), saints and sages have done decades of meditation and penance and have received the knowledge of the mantras which has been passed down for generations. Usually, the way to get a mantra is from your Guru (a true holy person who is an advanced soul) after many years to learning and improving. A mantra received from your Guru is really effective and comes with real power; the Guru also teaches you the rules around how to use the mantra effectively. Of course, the priestly class, the Brahmins also received mantras passed done for generations and now because of the internet, it is freely available to all. Treat them with care and respect. These are sound vibrations that create certain thought and other manifestations and results for one who uses it correctly. It is not something to be taken lightly or misused. The Gods and Goddesses that are worshiped are also manifestations of the One God, the Supreme Being, worshiped in many forms. To people like @Sarah – where does it say that Jesus is the true God? Jesus himself always said he was the son of God. Maybe sarah you should read the bible properly. Hinduism does not recognize demons or Satan – again that is a Christian belief. To call our Gods demons or jinn is extremely wicked and profane. Hinduism recognizes dharma and karma. Evil in the world comes from man and for that he creates karma which he has to pay. Our Gods do not demand any blood sacrifices. Take care, Sarah. Whichever religion you believe in, recognize it for what it’s worth – why are so many Christians priests pedophiles? Do you not drink the “blood’ of Jesus during your Sunday mass? Someone who is ignorant could say Christians are all cannibals and pedophiles – would that not be a wrong statement? Making rash generalizations is wrong. Take care, Sarah – do not offer disrespect to religions and Gods you do not understand. You may be creating karma for yourself that you will need to face. Good luck in finding peace. Wonderful resource and …just scrolling up and seeing that ignorant comment comparing Hindu deities to demons.. just WOW @ Sarah, this woman should be ashamed of herself! I commend you for such a professional and kindly response, as I do not think I myself could have displayed such control in the face of such gross disrespect and ignorance. I applaud you and thank you for sharing your wisdom! It is very sad you got Hinduism wrongly. I am not replying you to debate on religion. Sorry, you did not understand that we worship The Supreme Entity and Nature. Supreme is Male and Nature is female. Brahma, Vishnu & Shiva are 3 gods who are Divisions of the Supreme Entity based on their functionalities, this is basically a Great System. They are representing Generation, Order & Destruction(G-O-D) to make room for new Generation, respectively. Which is present in everything from an atom to the universe. That’s why we strongly believe God is in everywhere even within me and you. And God stays in higher dimension so we can not explain it in our 4 dimensions. That’s why there is no religion present on the earth who can say God looks exactly like this or that. Although one can feel his presence but cannot explain to others. And yoga is a way which is a very popular way in Hinduism to feel God. All other male gods present in Hinduism are an incarnation of these gods. We worship nature as Durga, Kali, Sati, Laxmi etc. These are the different forms of Power, Power of Nature which work by order of God like a good wife is always careful about her husband desire, that is why we imagine a marital relationship between them. And about sacrifice, it is not performed to make them happy but to “sacrifice” a loving thing in the name of God. If you would sacrifice habit of eating your favorite oily snacks it will also work. Also, you might ask if God cant be explained in this dimension then why we worship photos and idols of “imaginary” persons? The answer is we imagine with our logic that we have generated based on huge knowledge about nature and god of our ancestors and most importantly those imaginary idols or photos are representing the God to us so when seeing them we can focus on the God only just like you can remember your parents by watching their photographs that also does not mean you can not remember them without watching the photographs same way you don’t need to have photos or idols always to remember God. Why is that I am writing this out of Ignorance, even when I know what you reply back also want reach me? Yes, Trimurti are the Gurus and shakti’s are the forms of Existence but then, I feel so disheartened to know the Evil beings are also co existent and don’t allow you to be the same – they chose Maya as the next. May you be blessed for your work to help people protect themselves. As the world now busy with work situation, we are not able to chant the manthra for 108 times a day, is it any suggestion to chant manthra in a small ount of times…..please recommend it. Hi Shasitharan, thank you for your message. It should take about 50 minutes to recite the mantra 108 times. If you dont have time to do it each day recite it 108 times once a week twice a week. You can do it 9 times dear or even 3 times at a time whenever you get time.